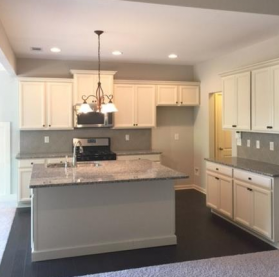 WOODSTOCK, Ga. - Aug. 9, 2016 - PRLog -- If you are in search of a new home in an Active Adult Community, be sure to check out the two final opportunities at The Villas at Heritage Springs in the Woodstock area of Cherokee County. Woodstock is alive with brick-paved sidewalks that promote a pedestrian friendly environment. Some of the historical buildings date back to 1879, and the area includes antique shops, tearooms and much much more. From their art district with it's Elm Street Cultural Arts Village to their Summer Concert Series, Woodstock is alive with events, art, shopping and dining at it's finest. If you are looking for a thoughtfully designed home with great features such as private rear yards, wide sidewalks, covered patios and private sunrooms, be sure to check out The Villas at Heritage Springs final two opportunities. Energy features in a new home are important and that is why O'Dwyer Homes are 100% Energy Star Certified by a third party. 100% Energy Star Certified new homes are designed and built to standards well above most other homes on the market today, delivering energy efficient savings up to 30 percent when compared to typical new home. Come and see for yourself why this community is almost sold out! To visit the Villas at Heritage Springs, take I-575 north to exit 7 and turn left onto Hwy # 92 (West). Travel approximately 1.5 miles to Heritage Springs on the left. Community Sales Office Hours -Mon., Tue., Fri. & Sat. 11am-6pm, Sun. 12-6pm, By Appointment.Stop by today to take advantage of these final opportunities, call Sandy Galvis or Helena Harris at 770-517-2232 or visit us at http://www.odwyerhomes.com for more information.